Your little one will be the cutest little leopard you’ve ever seen! The Child Pretty Leopard Costume is a snuggly jumpsuit that will have your little one ready to pounce! The pretty leopard costume includes a long sleeve leopard print velveteen jumpsuit with soft black marabou trim hem around the pants and sleeves. This Halloween costume can be worn with or without street clothes underneath, and layers can be added underneath for warmth or for when your child needs to make a quick change in or out of the costume. Halloween costumes are a fun way to express your ferocious and fiesty side, and your little girl will roar when she wears this comfortable and cozy leopard suit. 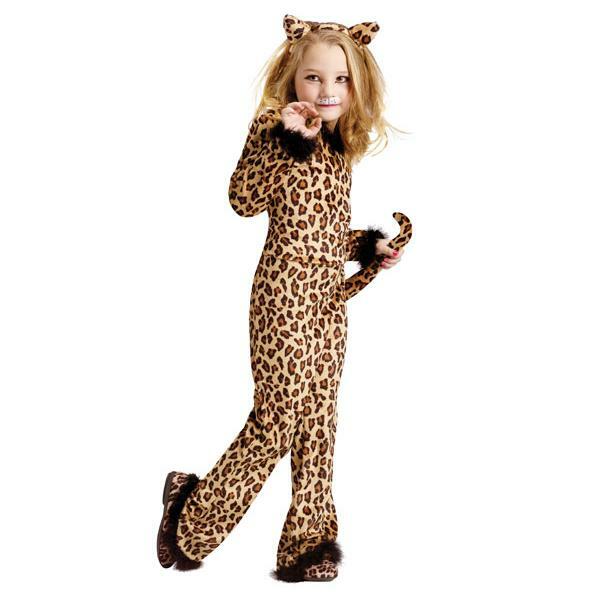 Child leopard costumes also include cat ear headband and tail. Take the look to the next level by adding some glamour kitty accessories, like a pair of rhinestone sunglasses and a black feather boa.